According to Boca Raton’s Mayor and City Council, the item on the parking meter issue consent agenda passed without discussion. UPDATE: According to Boca Raton’s Mayor and City Council, the item on the parking meter issue consent agenda passed without discussion. 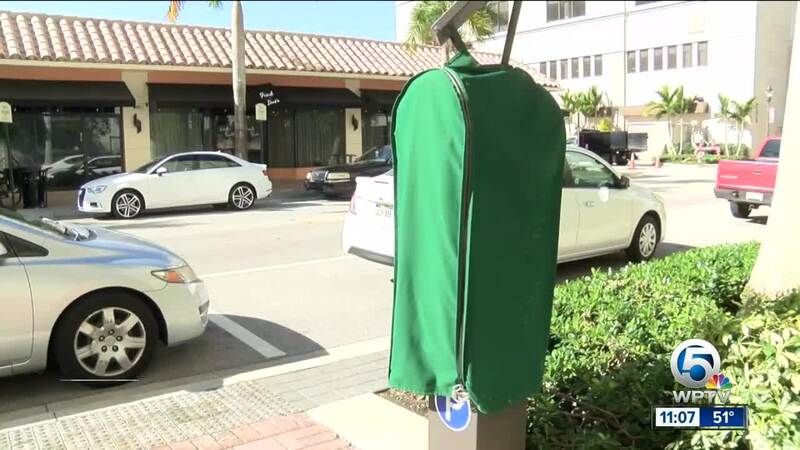 More parking meters could be coming to Boca Raton. 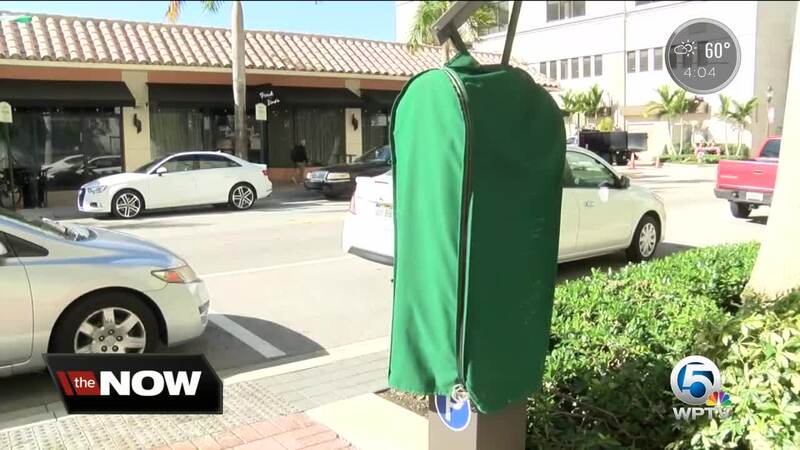 On Tuesday night, City Council will vote on a plan to add meters to 26 parking spaces in the Downtown area near Mizner Park. 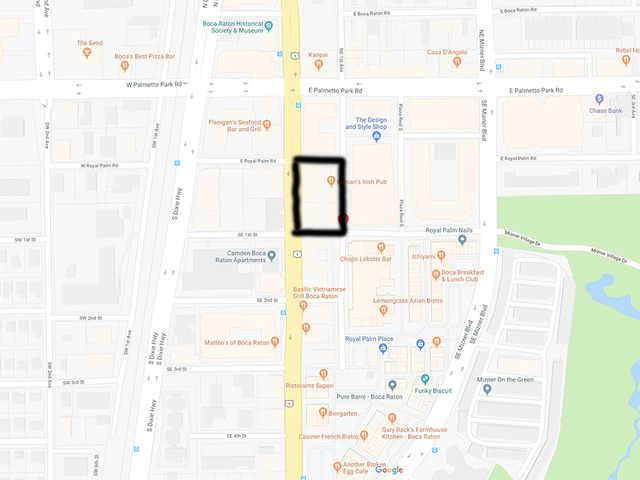 The meter zone would be in the area of South Federal Highway, SE 1st Street, SE 1st Avenue, and East Royal Palm Road. 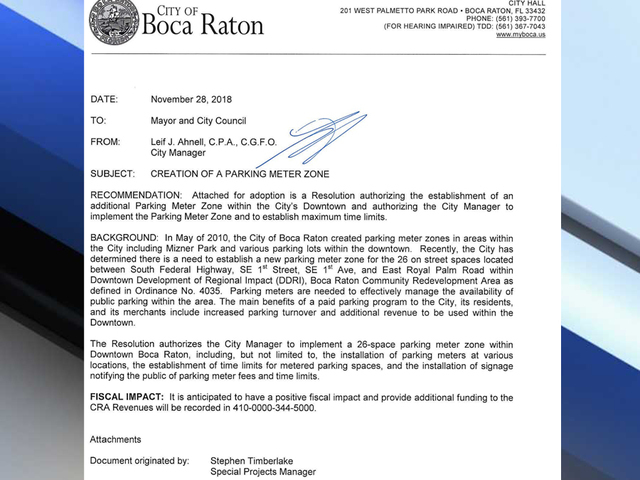 According to a memo to Boca Raton’s Mayor and City Council, more meters are needed to "effectively manage the availability of public parking within the area." The proposal also said the extra spaces will bring in additional revenue for the city. The owner of O’Brian's Irish Pub, Brian Giampa, said the metered parking will hurt his businesses. "I am projecting a 33 percent decrease in business," Giampa said. "This particular 26-spot area now has to compete with the other places that doesn’t offer the paid parking." Barry Rabkin with Raw Juice said he agrees with Giampa that paying to park in Downtown Boca is not a good idea. "Things are expensive enough," said Rabkin. "We just want people to be happy and park where they want to park and move in and out." Mayor Scott Singer said he would like to see a parking garage built in the near future. The city could also look at adding more metered spaces in the future. For more information on parking meters in the city of Boca Raton, click here .